I just sold my home. Can you protect the proceeds from the sale of my home in bankruptcy? I had a client who prepared her bankruptcy paperwork and was ready to file when she got a good offer on her home. Selling your home while in a bankruptcy is difficult, so we held off on filing her case. She sold the home, paid off the mortgage, and ended up with about $10,000 from the sale of her home. This money wouldn’t put a dent in her total medical debt, so avoiding bankruptcy wasn’t an option. We decided to keep it and exempt (protect it) under Utah Law. (a) When a homestead is conveyed by the owner of the property, the conveyance may not subject the property to any lien to which it would not be subject in the hands of the owner. (b) The proceeds of any sale, to the amount of the exemption existing at the time of sale, is exempt from levy, execution, or other process for one year after the receipt of the proceeds by the person entitled to the exemption. In other words, we could stick the $10,000 in a bank account, declare it exempt, and actually protect it. There are some issues though: you don’t want to spend it before we go bankruptcy, because you might just spend it on something non-exempt, which the trustee could take. You also don’t want to put the money in an account with your other non-exempt money. This is called co-mingling, and it makes it hard to identify and protect your homestead money. This entry was posted in Utah Bankruptcy on February 19, 2016 by robertspaynelaw. Now that I’ve filed bankruptcy, why won’t my bank send me statements or let me pay online? If the Debtor’s payment was previously made by an automatic payment deduction from a deposit account, this transaction has now been discontinued. As to why they do this, it’s fairly simple. 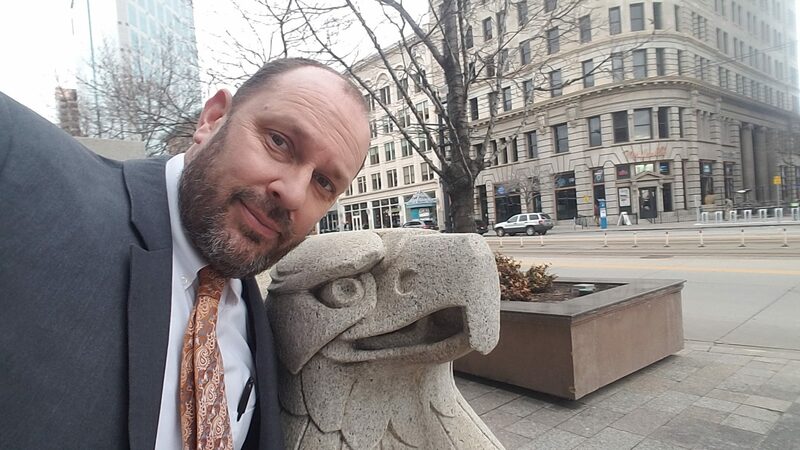 The bank does not want to be accused of violating bankruptcy law (the automatic stay) by attempting to make any collection efforts to make you pay the mortgage payment. If this happens to you, contact the bank and ask them to send an attorney authorization letter to your bankruptcy attorney so that he/she can sign it. 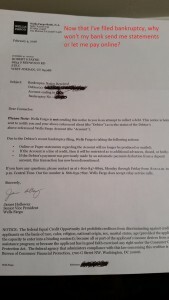 This will allow them to start taking auto payments again, talk to you on the phone, and mail you out paper statements. Now if they are not accepting payments, remember that this really doesn’t let you off the hook for those missed payments. Keep the payment in reserve until you have gotten the authorization, and then catch up on your payments as soon as you can. This entry was posted in Utah Bankruptcy on February 15, 2016 by robertspaynelaw. I can’t leave the house. Can I appear at my bankruptcy hearing (341 Meeting of Creditors) by telephone? Yes, sometimes, but only if you have a good reason. Let’s say we filed bankruptcy today. You’d get a case number, and in about 30 days, we would have our 341 Meeting of Creditors with a bankruptcy trustee. Normally, you have to go to this meeting, appear physically, and the trustee asks you a series of questions. At the meeting, the trustee will ask you to verify your identify with your driver’s license and social security card. However, some people are house-bound, and they cannot physically appear at the 341 Meeting. In this kind of situation, your attorney can file an “Ex parte motion to appear/attend 341 meeting of creditors telephonically.” This allows you to call in to the meeting and appear by speakerphone. Since the trustee cannot verify your driver’s license/social security card at your home, you will need a notary public to go to your home to verify those items over the phone at your regular time/date for your 341 Meeting. 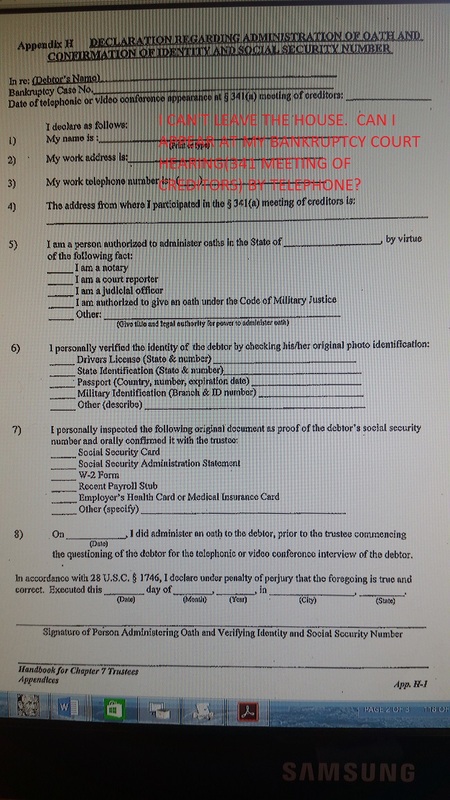 I have attached “Appendix H: Declaration Regarding Administration of Oath and Confirmation of Identify and Social Security Number” from the Handbook for Chapter 7 Trustees. 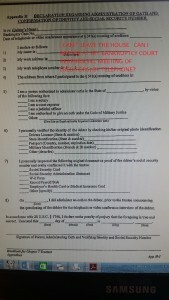 This is the form the bankruptcy trustee will ask your notary to fill out. You need a good reason. “House-bound because of advanced age and poor health” is a good reason. ” “Netflix marathon” is not. (We all do it, but it’s not a good reason). There is no guarantee that the trustee will endorse your order. They usually do, but it’s not a sure thing. Your attorney normally charges extra for this kind of motion work beyond your regular bankruptcy fees. You need to find a notary to come to your home. It’s not the trustee’s job and not your attorney’s job. Most people are surprised to find out that they know someone with a notary stamp who is willing to do this to help out a friend. 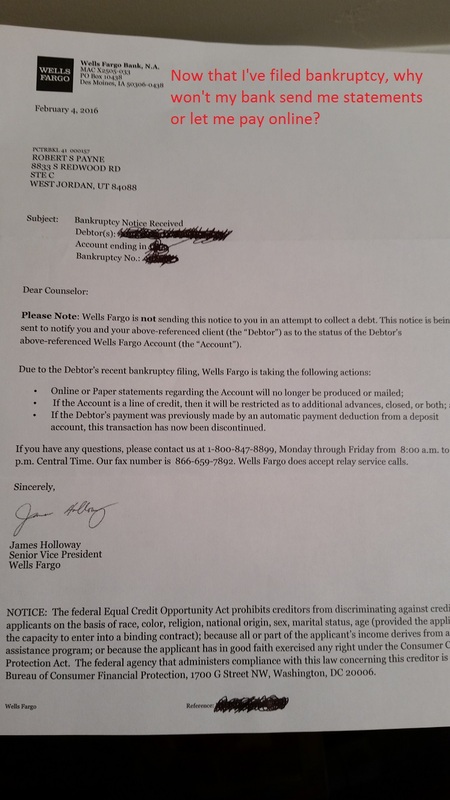 This entry was posted in Utah Bankruptcy on February 1, 2016 by robertspaynelaw.